This post was developed in partnership with Similac. The puppies are 7 months old now and our “baby” will be turning 2 real soon! Exciting times! 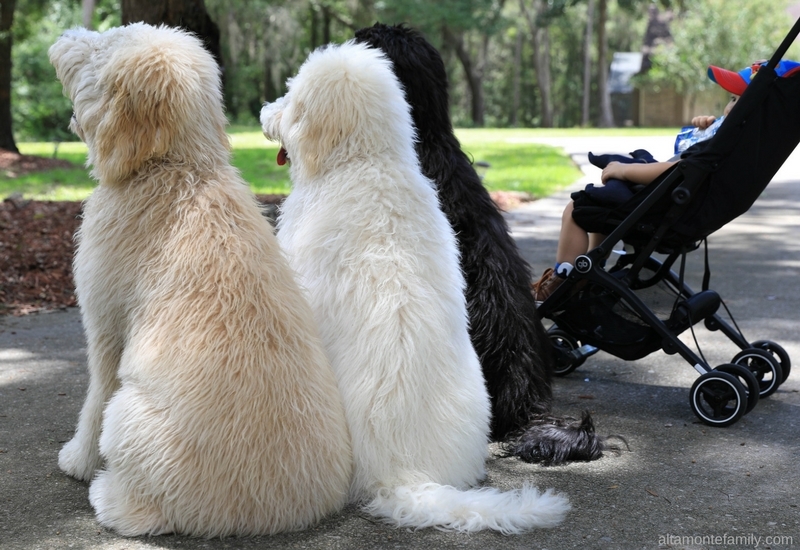 Equally exciting are our daily strolls with all of the kids and all of the “doodz” (our dogs would “ruv” for you to follow them on Instagram)! 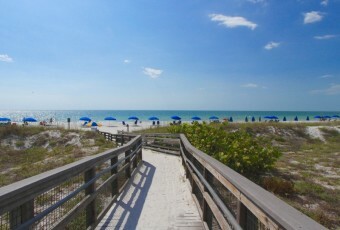 With our toddler becoming more and more independent and opinionated, we need to keep up with his latest and greatest choice of take-along snacks and toys–whether we’re walking around the neighborhood or exploring the many family-friendly sceneries / walking paths around Florida. Recently, our son asked me to make a DIY Dog Plushie for him–one that resembles our miniature schnauzer (sadly, our miniature schnauzer crossed over the rainbow bridge earlier this year). Anyway, our son has been taking “Bacon” along with him on our walks ever since, and we’re proud to report that none of our bigger dogs have gotten jealous over “the other dog”. We’ll share the DIY Dog Plushie tutorial with you in a bit. Besides “Bacon” and water, our son likes to take along one of his favorite Go & Grow by Similac Pouches. He really loves them, and we love that they are Certified USDA Organic, Non-GMO, contain no fillers, artificial flavors or colors and are gluten free (each pouch contains three to four servings of combined fruits and vegetables). These pouches are a great snacking alternative for our toddler, and we’re pleased that he has been choosing them over the artificially sweetened snacks. Note: For toddlers, the appropriate amount of Go & Grow by Similac pouches is between one and three pouches, with a daily maximum of three pouches. For babies one year or younger, the maxiumum amount of Go & Grow by Similac pouches is one pouch. Additionally, Go & Grow by Similac Pouches are the only toddler fruit and veggie puree pouches with OptiGRO, a brain- and eye-nourishing blend of DHA, Lutein, and Vitamin E in forms similar to common foods. While Go & Grow by Similac pouches are a great way for us to squeeze in more fruit and veggies into our toddler’s diet, we only use them to supplement instead of replace the enjoyment and importance of eating whole foods. Our baby loves to eat pumpkin as well as mangoes, so it comes as no surprise that he looks for these familiar flavors when choosing a Go & Grow by Similac Pouch to take along on our daily walks. 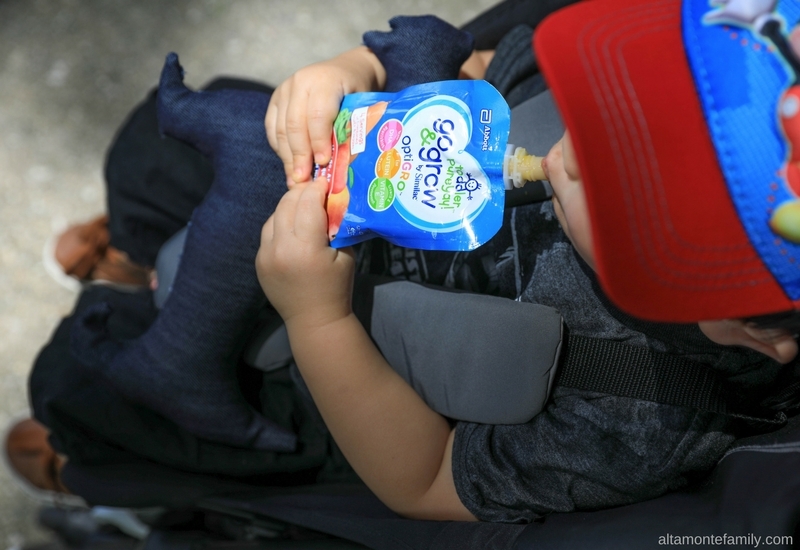 Click here to find out about all the different flavors (please note that Go & Grow by Similac pouches come in two age groups: one stage is for babies six months of age and older and the other stage is for toddlers 12+ months). Our daily strolls have been invigorating and therapeutic for us grown-ups and we think that our little ones and our “big puppies” have come to enjoy them as well. 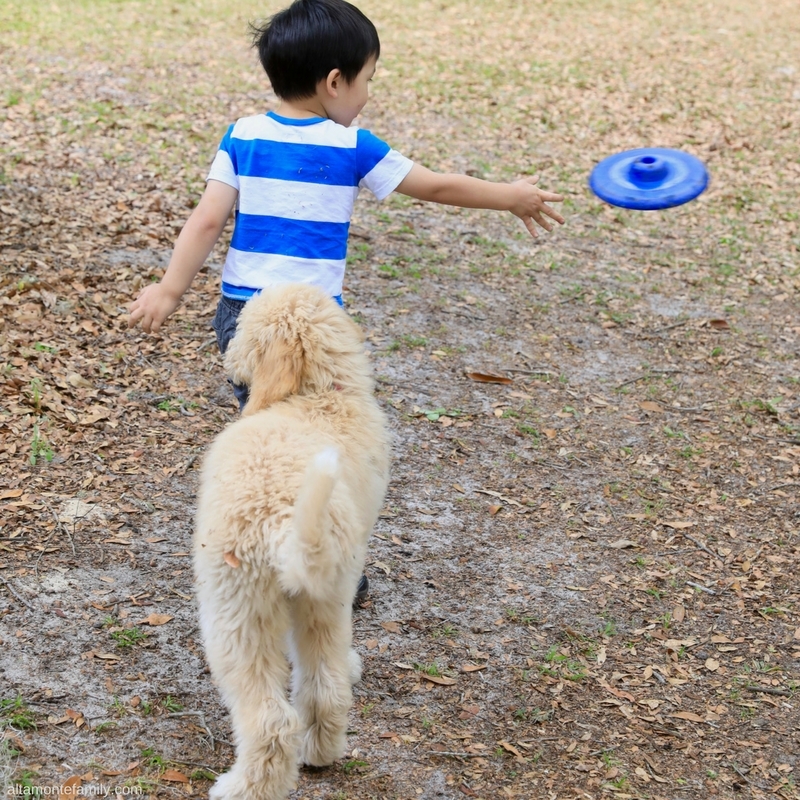 There’s just something special about getting outside and getting some fresh air, no matter how hot it could be sometimes here in Florida (so yeah, we bring natural, DIY bug sprays for us and for our dogs)! 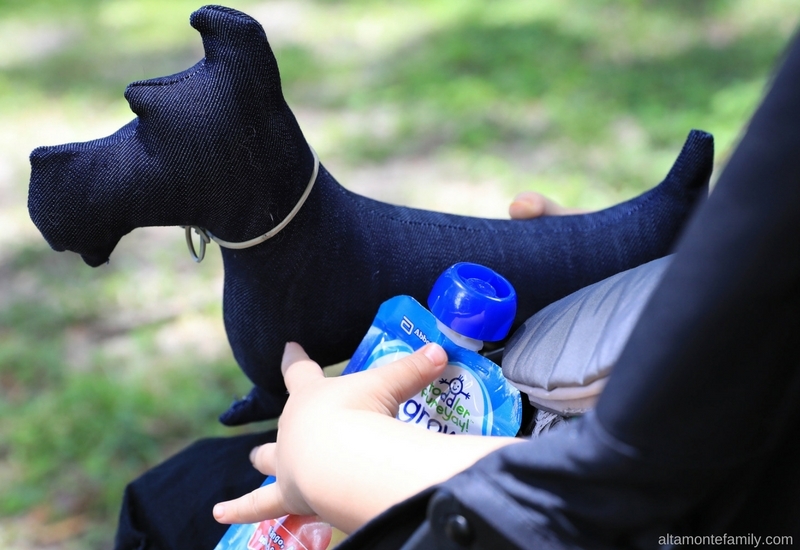 If you know how to sew (I only have the most basic of skills, I promise), you can make this easy DIY Dog Plushie! We used our electronic cutting machine to cut out the pattern on 12 x 12 paper and then we traced it onto a fabric of choice (we chose denim, yay!)! 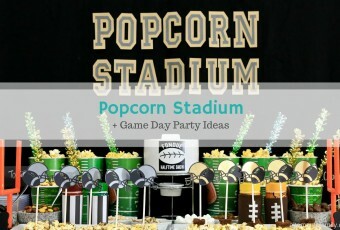 Does your toddler have a favorite toy in mind that he / she would like for you to make? 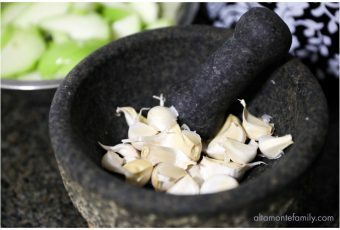 How about a favorite snack? 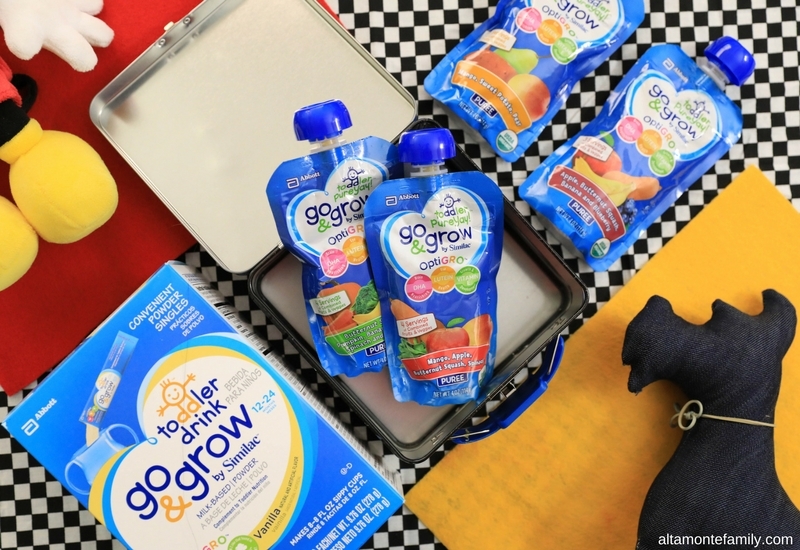 We hope your little ones will love Go & Grow by Similac Pouches! We found them at Walmart in the baby food aisle. Click here to find out how you can get $0.50 back on any one Go & Grow by Similac Pouch with an Ibotta offer! 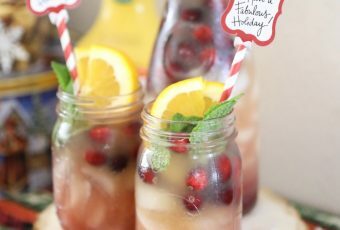 There’s also an exciting giveaway going on at shespeaks.com–click here for more details on the #GoAndGrowAtWalmart giveaway! 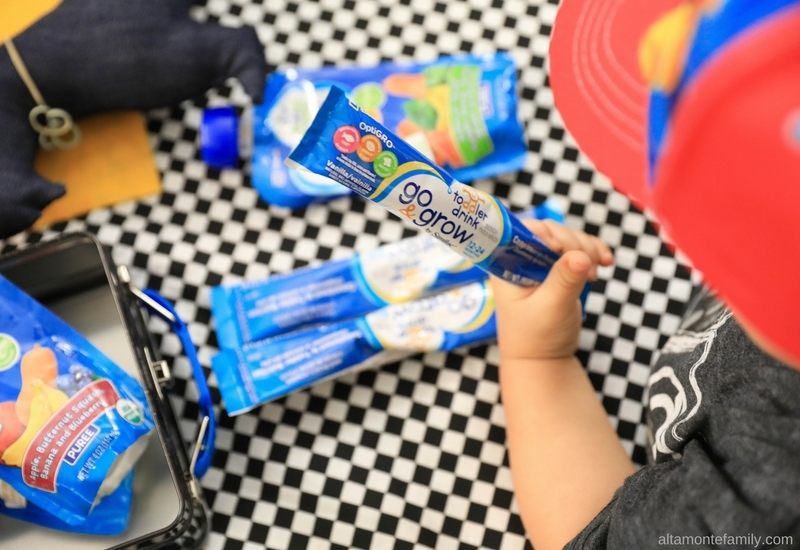 While you’re at Walmart, you might want to pick up a box of Go & Grow Toddler Drink (each 8-fl-oz serving has over 25 vitamins and minerals and it also comes with OptiGRO™—just like the Go & Grow by Similac Pouches). Our toddler sometimes asks us to pack this drink for him (in a spill-proof cup, of course). We particularly like the stick packs–they are super convenient for families on the go! What do you like to pack for your daily strolls with your little ones?